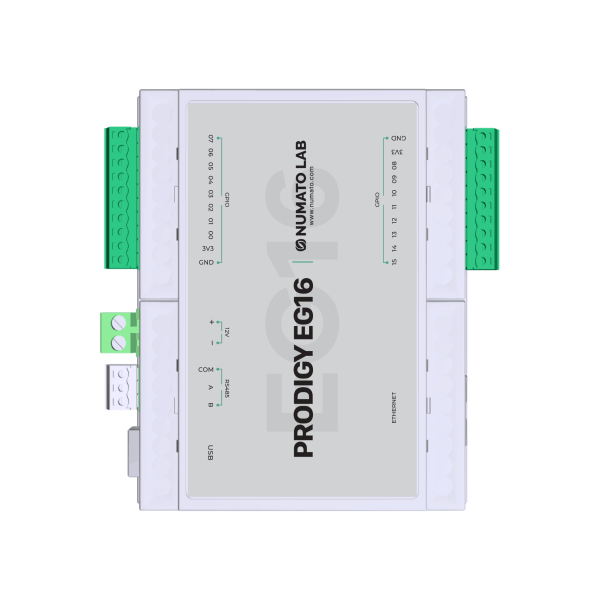 Prodigy EG16/EG32 is an Input/Output module that supports Modbus RTU over USB and RS485 and Modbus TCP over Ethernet. 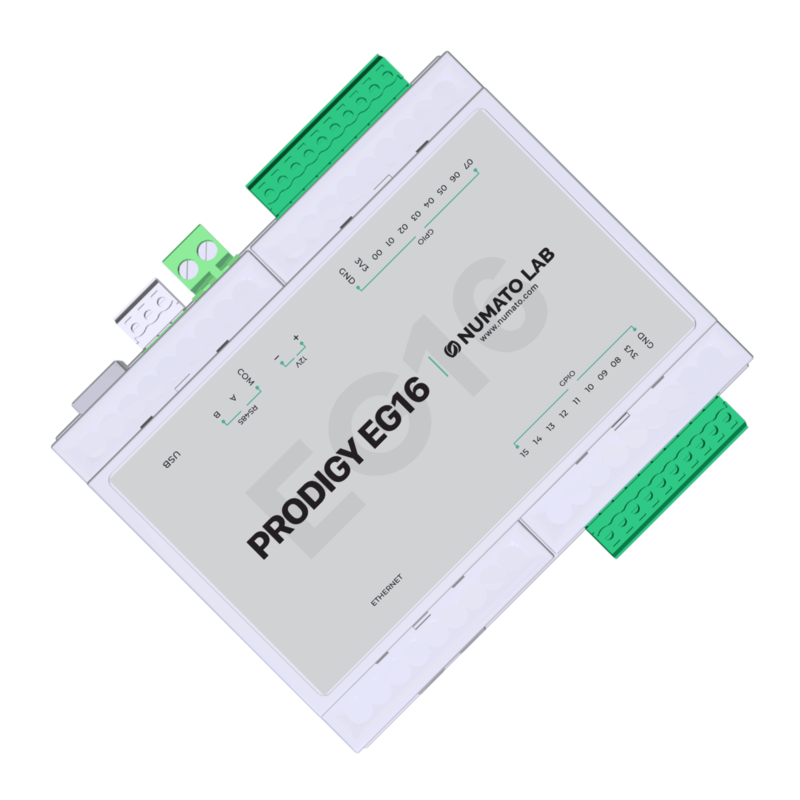 The USB/Ethernet host interface makes connecting this device to any Windows, Linux, Mac machines or embedded computers such as RPi an easy task. 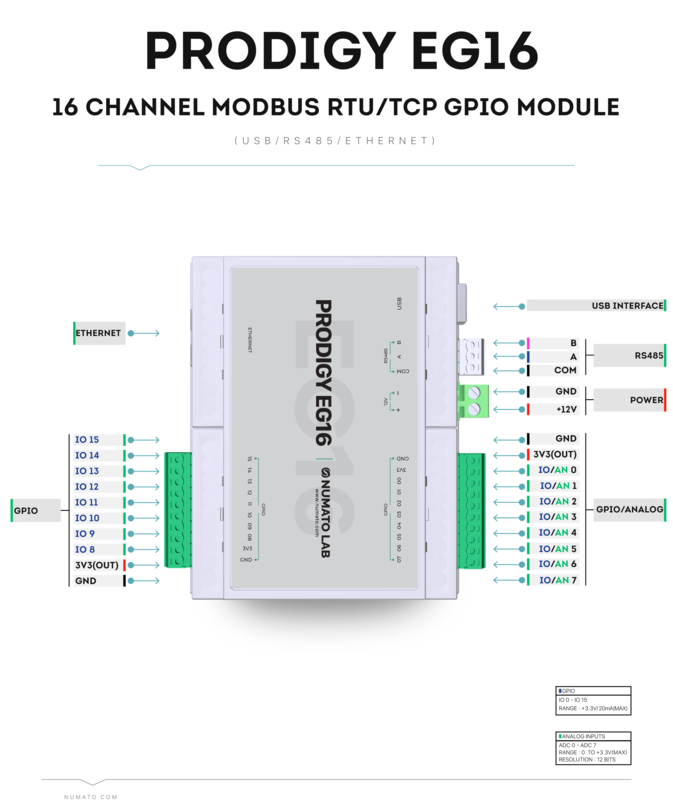 Support of industry standard Modbus protocol makes it easy to use this device with almost any automation software that supports Modbus – RTU/TCP. 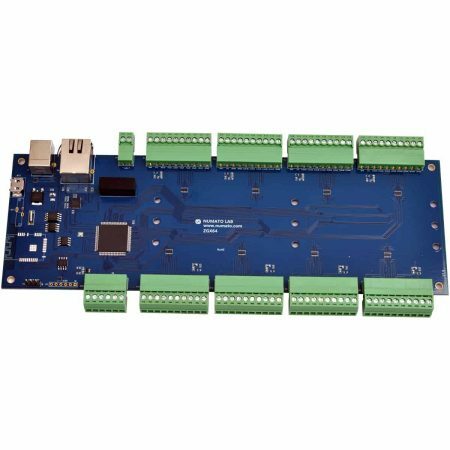 USB CDC (Serial) interface that works with Windows, Linux, Mac and more. No USB knowledge required! 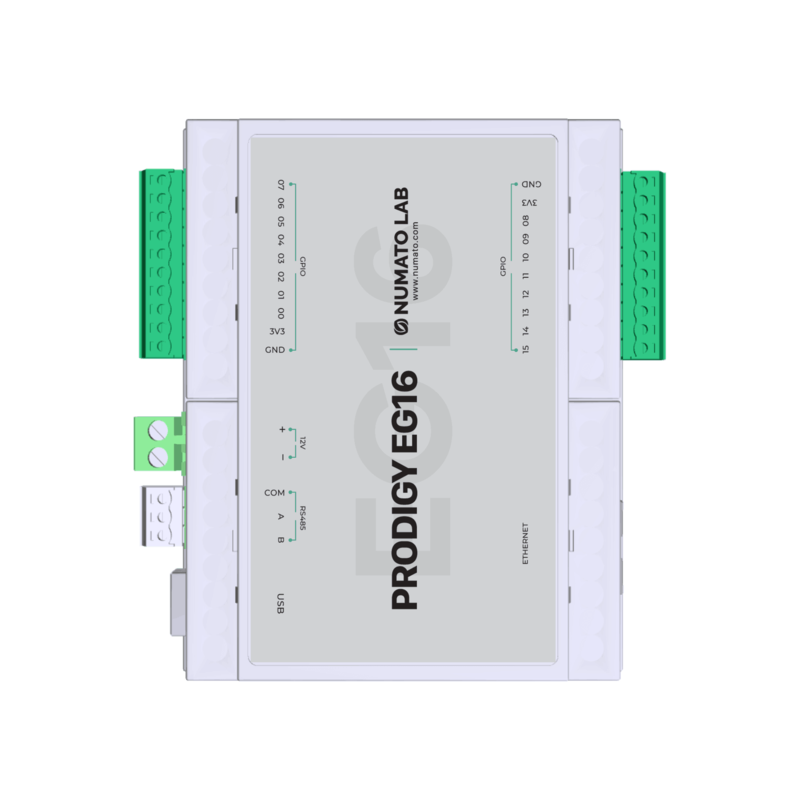 Features such as GPIO Timer, the Watchdog timer for fail-safe operation, Configurable Power On states etc..
Prodigy EG16/EG32 is a Digital Input/Output module that supports Modbus RTU over USB and RS485 and Modbus TCP over Ethernet. 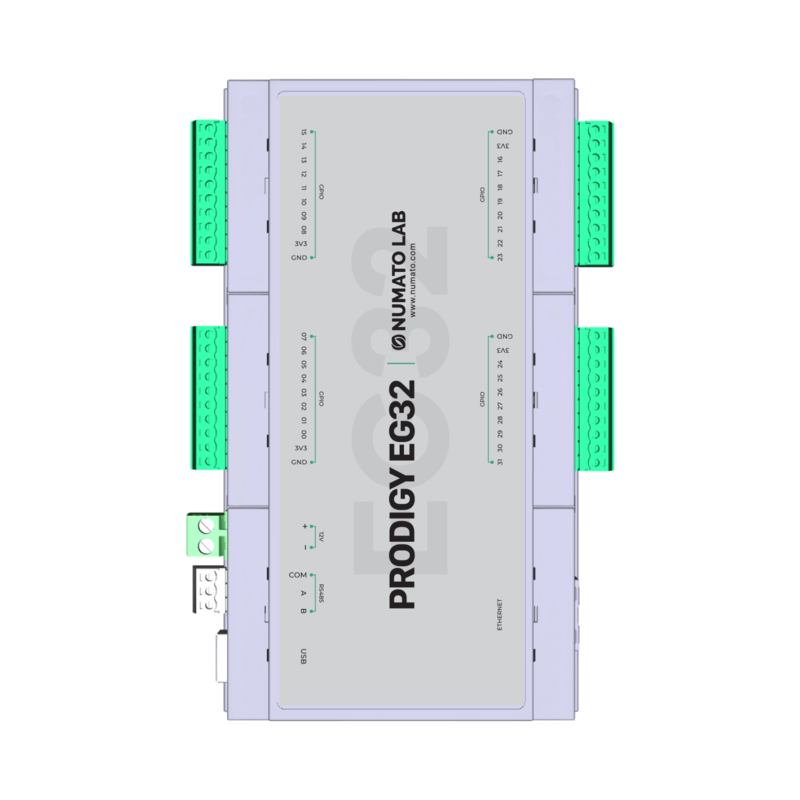 This product has 16/32 GPIO(3.3V) multiplexed with 8/14(Max) Analog Inputs that support. 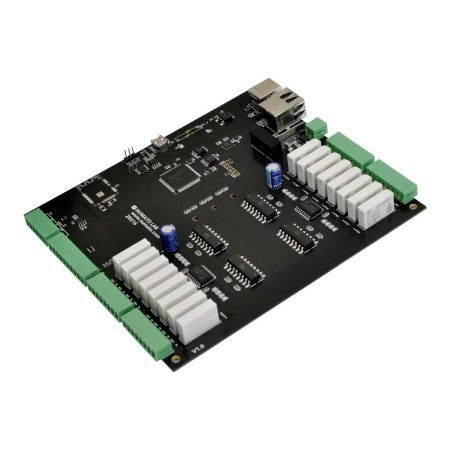 The RS485/USB/Ethernet host interface makes connecting this device to any Windows, Linux, Mac machines or embedded computers such as RPi an easy task. Meanwhile, support for industry standard Modbus protocol makes it easy to use this device with almost any automation software that supports Modbus – RTU/TCP. 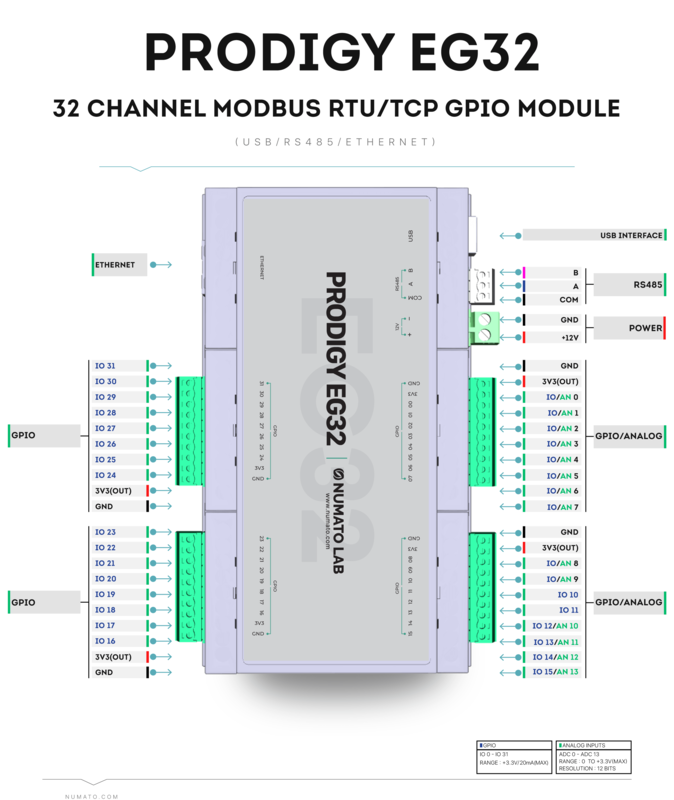 EG16/EG32 when RTU model connected to a host computer, is enumerated as a regular serial port. 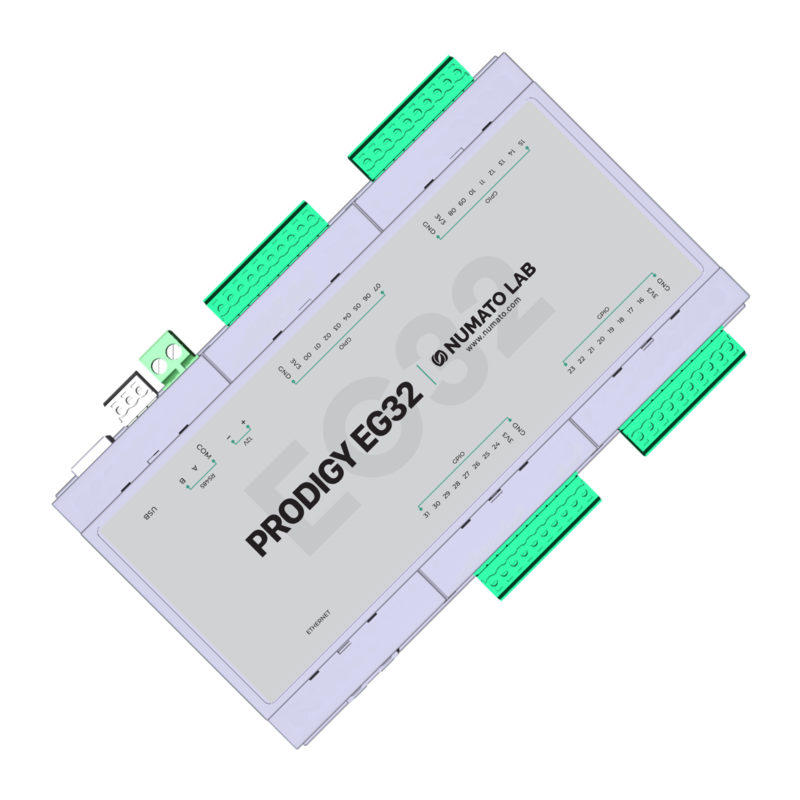 This alleviates the difficulty of working with the USB protocol and offers a transparent interface to access the device. EG16/EG32 acts as a Modbus slave device at slave address 1. 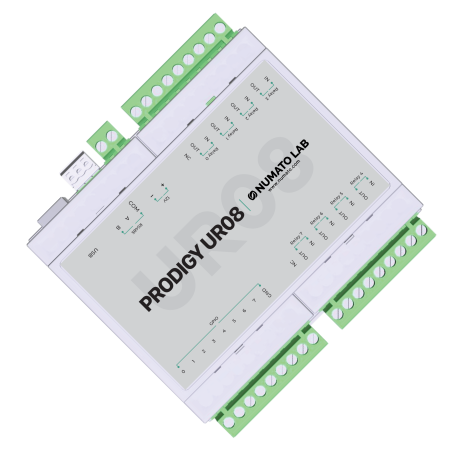 Flexible DIN Rail mounting system allows easy installation and removal with screws. EG16/EG32 supports several features such as GPIO Timer, Safety Timer (Watchdog), Programmable Power On State, etc.